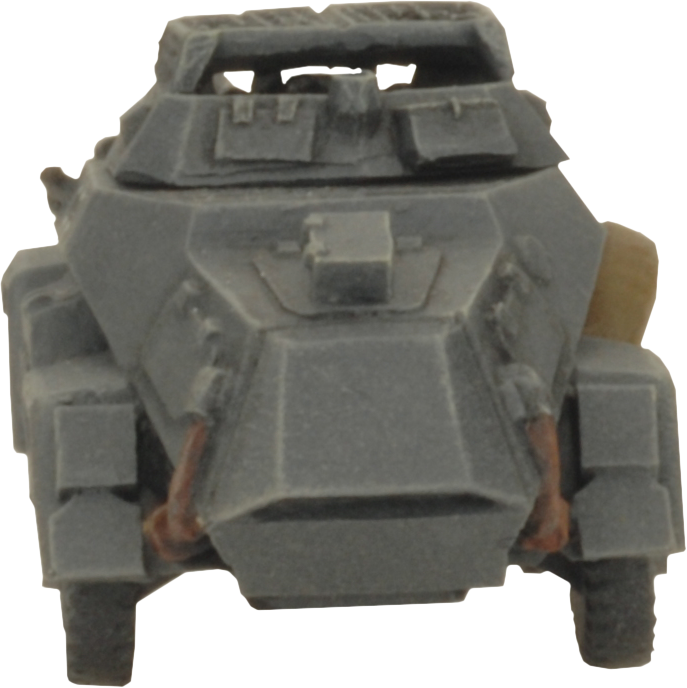 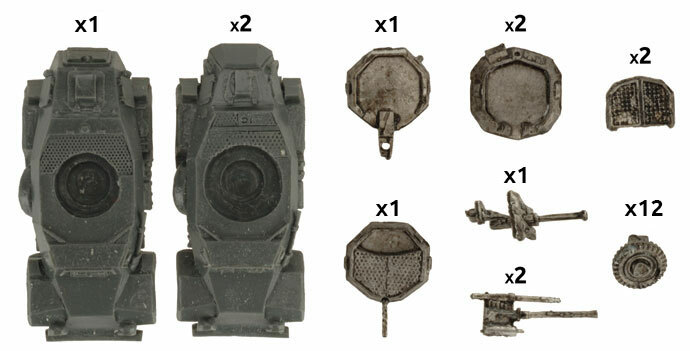 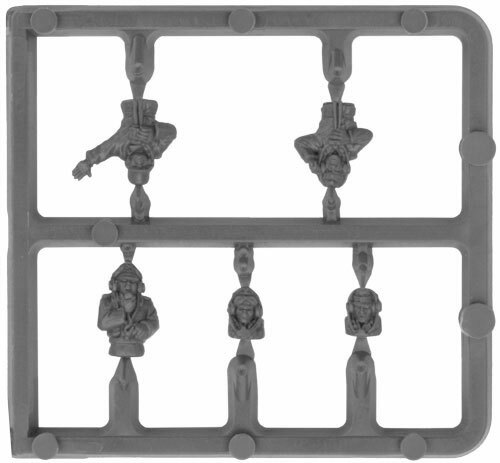 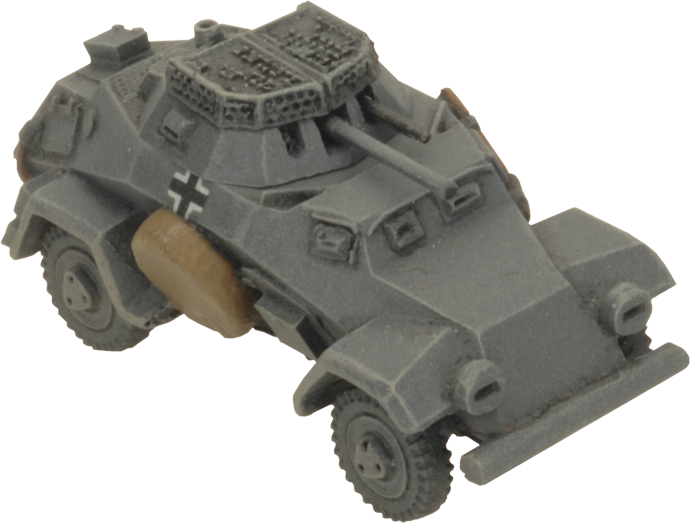 includes one resin and metal Sd Kfz 221, two resin and metal Sd Kfz 222s, one plastic Tank Commander sprue and one Unit card. 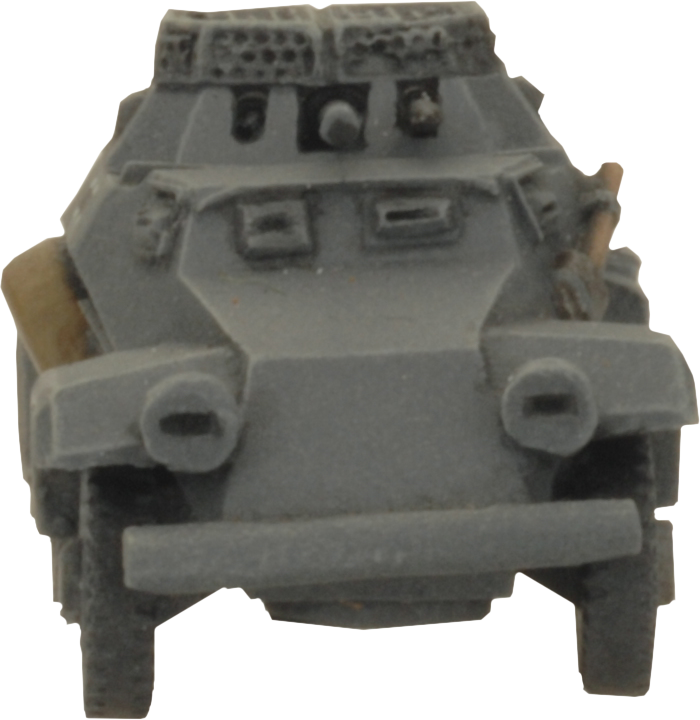 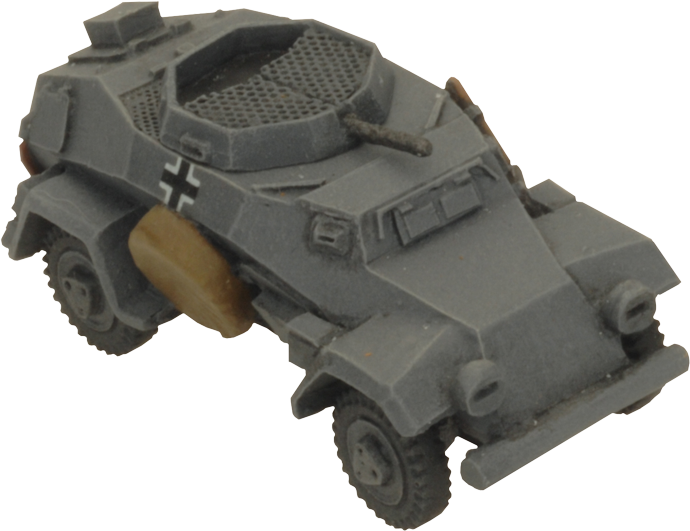 Often paired with either infantry or tank advances, the Sd Kfz 221 and 222 armoured cars came in a variety of forms to fill out the roster of roles a scout troop might be required to fill. 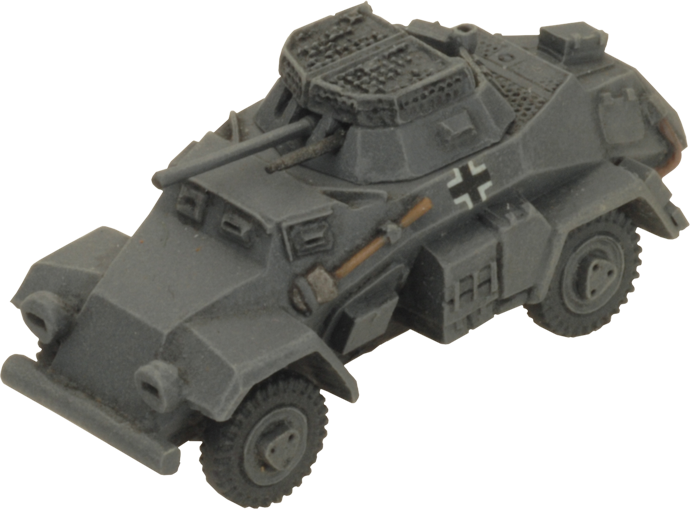 The MG 34 of the standard Sd Kfz 221 provided an effective means of keeping infantry at bay or pinning them down with speedy flanking maneuvers, while the Sd Kfz 222’s 2cm KwK 30 L/55 autocannon and 7.92 mm MG 13 machine gun gave it the tools to engage infantry and enemy armoured cars. 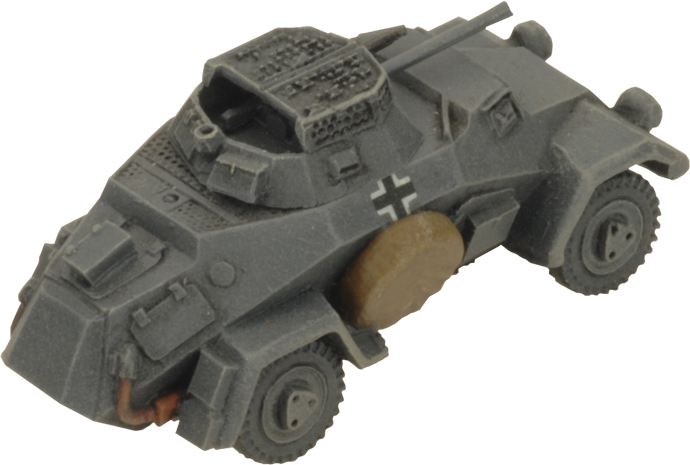 For slightly more formidable enemy targets encountered on reconnaissance missions, some 221s swapped the 2cm and MG 13 in exchange for the 2.8cm Panzerbüchse 41, a light anti-tank gun capable of dealing with lightly armoured enemy vehicles and tanks like the Soviet BA-10 or T-60. 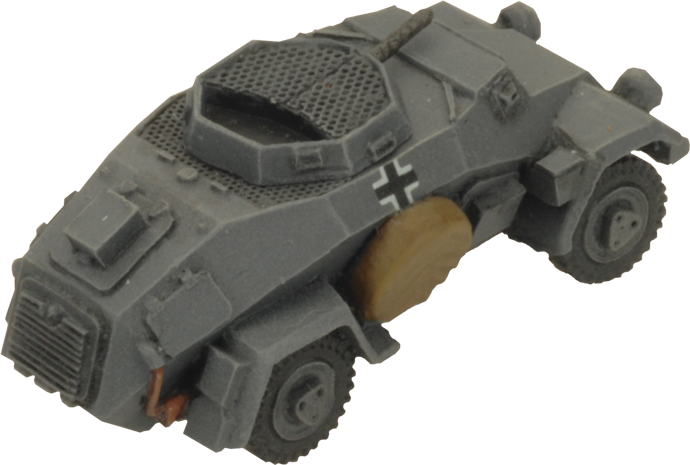 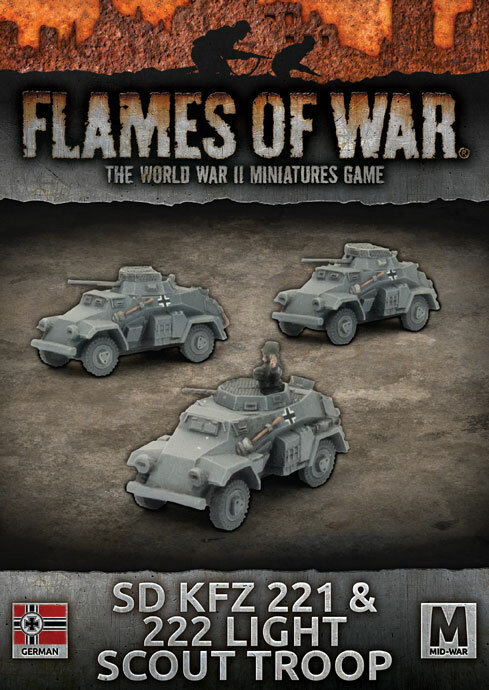 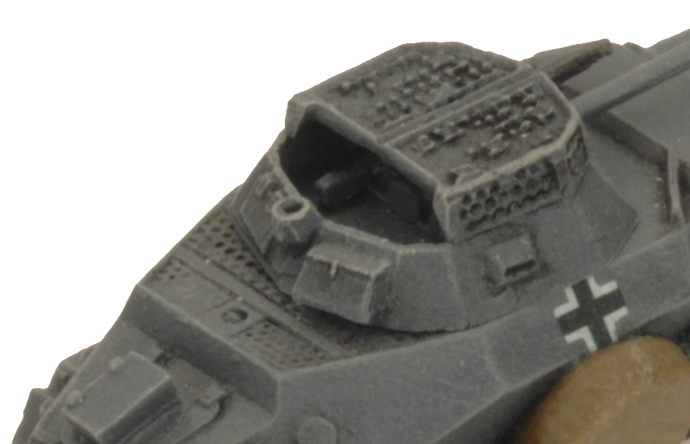 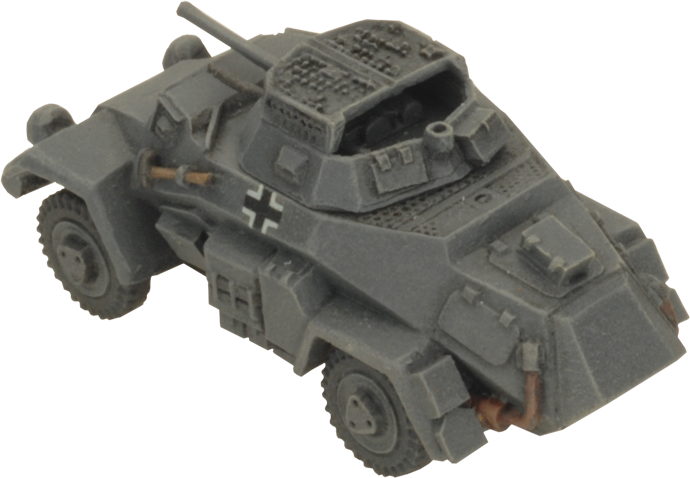 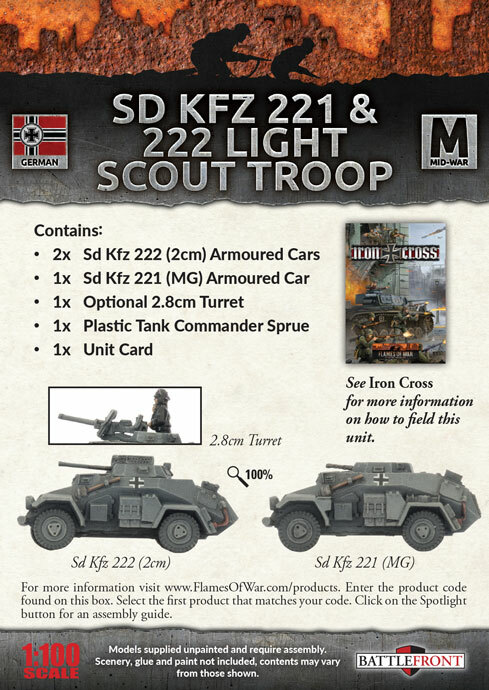 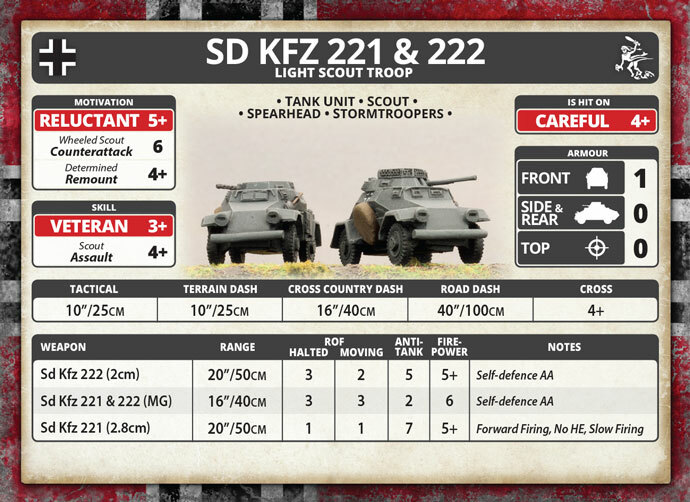 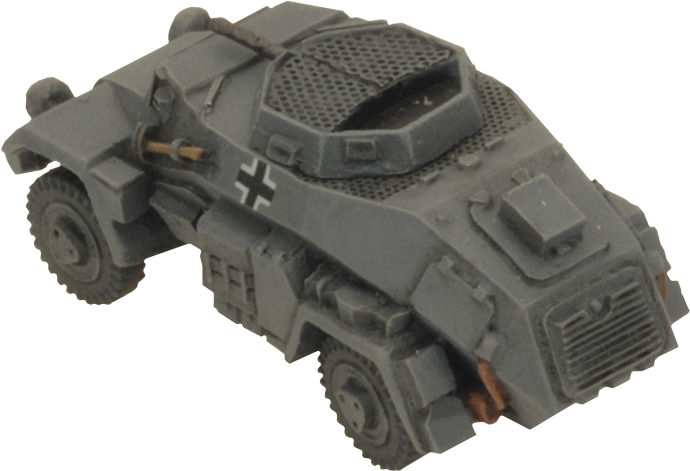 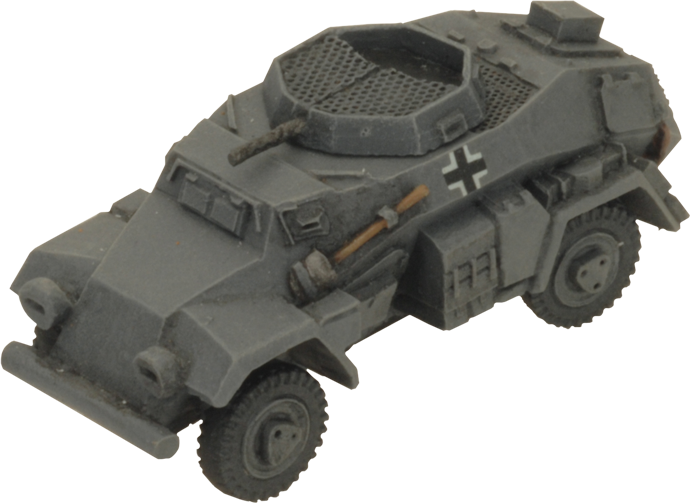 On the table, the Sd Kfz 221 and 222 Light Scout Troop provides the Spearhead capability, allowing you to deploy troops further forward, ready to take command of the field.